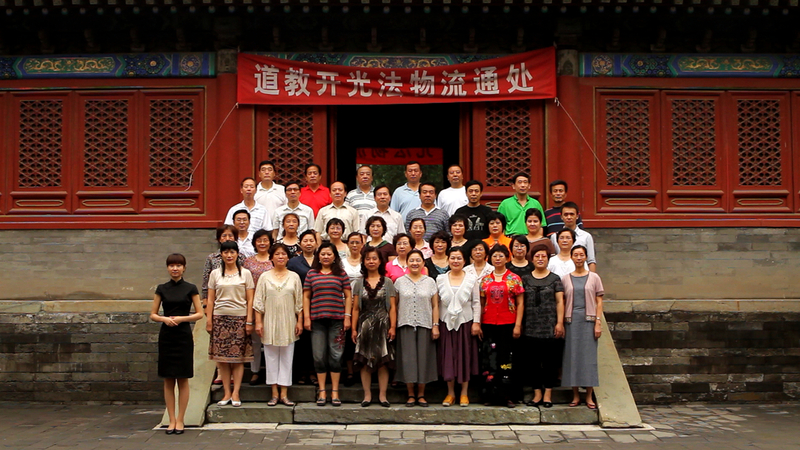 The project was developed in July 2010 at the Red Gate International Artist in Residency Program in Beijing. It is a multiple channel video installation structured to traverse between the realms of fiction and documentary, as well as the imagined and real lives of the people in the video. Ct explores this idea by working with a chorus of elderly Chinese whose lives have been marked by particular historical eras. This elderly group is linked/mirrored to a younger generation by way of separate projections as each perform a song based on Snow, a Mao poem first published in 1936. The performance of this well-known poem by two different generations serves as a hinge to explore many cultural, historical, and individual turning points. This video installation is an elaboration of ideas and techniques explored in Ct’s previous projects. The work orchestrates a complicated dynamic between image and sound by presenting the video image as an installation in space. From the outset of this new cycle of creation, he maintains a conceptual bias that underlines the ideological aspect of the work as well as its various narrative possibilities. The installation employs the convention of family portrait that gathers a group of people with similarities and differences. The work also includes footage of the preparation for the performances. This inclusion allows Ct to examine closely what the protagonists are experiencing, by taking into account attitudes and actions that are usually eliminated when the real scene starts. The conventions of family portrait and the chorus are ways to materialize reminiscence and synthesize collective memory. Stylistically, the video is distinguished by its symmetrical, front-facing shots. Just as symmetrically structured traditional Chinese architecture incorporates a conception of space that allows one to experience the outdoor while remaining inside, the videos are made in a traditional temple that infuses the work with an aura of the past. The presentation of the project comprises four video projections: the chorus of elderly people, the young singer and close-ups of individuals. This setup reinforces the idea of dialogue between generations. The spatial distribution of the videos and the aural distribution of the voices are designed to envelope the spectator in the image and sound of the chorus. JEAN-FRANÇOIS CÔTÉ earned his Ph.D. in visual arts and art history at Universit Laval with a grant from the Fonds qubcois de recherche sur la socit et la culture. Solo exhibitions include presentations at the Studio d’essai of Mduse; at VU; at the Museo de Arte Contemporaneo in the context of the 8th Bienal de Video Y Nuevos Medios de Santiago, Chile; in the context of the Mois Multi; and at the Yuanfen Gallery of Beijing, China. Ct was Professor in Time-Based Art and Photography at York University in Toronto. He is now Professor in Media Art at Universit du Qubec Trois-Rivires. He received support from the Conseil des arts et des lettres du Qubec and from the Canada Council for the Arts. This project is realized with the funding from de Conseil des arts et des lettres du Qubec. With gratitude : Rose, Yam Lau, the people of the chorus, Martin Bureau, Patrick Saint-Denis, Guo Yuejin, Kate Lu, Sun Xue Jun, Zhong Jao, Meng Xiang Cheng, Zhao Guo Hua, the people of the Dongyue temple, Mister Wang, Li Caiping, Red Gate Gallery, La Bande Vido, Les Productions Recto Verso. Read YAM LAUS Chorus: Rumination on the Nobility of Faces and Images, an essay about JEAN-FRANÇOIS CÔTÉ’S exhibition.